Eye care is very important regardless of age. 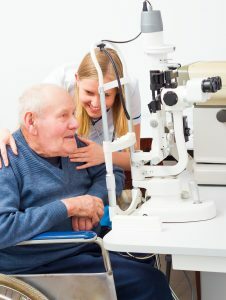 Many eye diseases are asymptomatic in their early stage, which means you do not feel anything unusual until it is too late. Once you start loosing vision, treatment is limited and it doesn’t guarantee vision recovery. That’s is why it is crucial to have a yearly comprehensive eye exam. Click HERE and schedule your appointment today!